You've got questions; we've got answers. If you still can't find an answer, tweet us! @VMC_Help We're here to help you. Why do people think Vector is a scam? There are a lot of rumors and myths that claim Vector Marketing is a scam, preying on naïve, but ambitious college students. So what is the cause for these Vector Marketing scam myths? 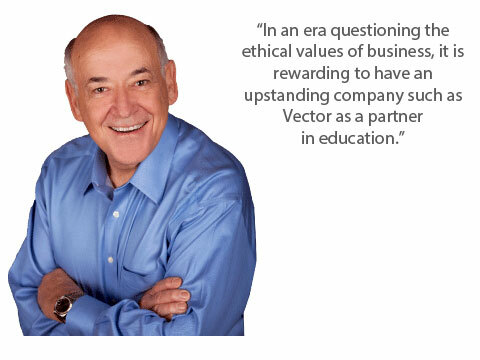 Before we start, we need to answer the big question: is Vector Marketing a scam? The answer: NO. Vector Marketing is NOT a scam and we are upfront and transparent about the entire Vector sales representative hiring and onboarding process from start to finish. If you have any doubts or concerns, we have all of the answers for you. The TRUTH: Vector Marketing is not a pyramid scheme in any way, shape or form. Vector Marketing is the sales and marketing division of Cutco. Vector reps are not responsible for recruiting new reps or buying any sort of product or service. In fact, Vector reps are independent contractors and they set their own schedules and have the opportunity to control how much they earn through a guaranteed base pay and commissions earned on each sale. 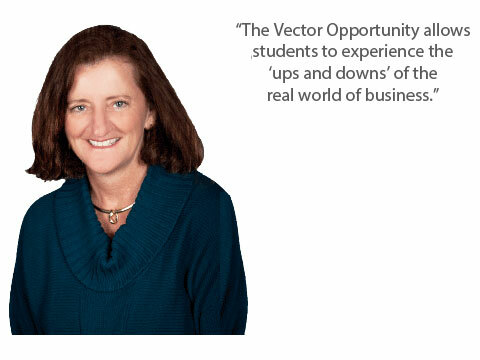 Vector Marketing is also not a "get-rich-quick" scheme. Success is not guaranteed and it may take hard-work and dedication in order to succeed as a Vector rep. MYTH: Vector Marketing is a scam because it's a multi-level marketing company. The TRUTH: Vector Marketing is not a multi-level marketing company. Vector Marketing is a single-level, direct-to-consumer marketing company and is recognized as an official member of the Direct Selling Association. In a multi-level marketing company, sales representatives make their money by recruiting additional sales representatives. This is not the case for Vector Marketing, as our sales representatives earn their money by selling Cutco's World's Finest Cutlery directly to consumers. MYTH: Vector Marketing is a scam because you have to pay for your own starter demonstration kit. The TRUTH: One common misunderstanding is that you have to buy your own starter kit to hold demonstrations for your clients. This is not true, as you are NOT required to purchase the starter kit. In fact, each Vector sales rep will be loaned a CUTCO demonstration set to show customers the quality of CUTCO products. MYTH: Vector Marketing is a scam because you have to pressure your friends and family to purchase CUTCO products in order to make money. The TRUTH: Vector reps receive a guaranteed base pay and they are encouraged to go out there and meet the sales goals that they set. However, we never want our reps to feel like they need to be pushy or aggressive with their clients. MYTH: Vector Marketing is a scam because training is unpaid. The TRUTH: The comprehensive training program that Vector reps receive after they have been interviewed and accepted is unpaid. However, this is a common practice with a lot of companies and this does not make Vector Marketing a scam. The initial onboarding training program consists of two or three consecutive training days at your local Vector office. Your manager can provide you with more details about the training process. As part of their upper level marketing class, students at the University of Calgary are opening their samples for the first time. We’ve Been a Good Fit for People. 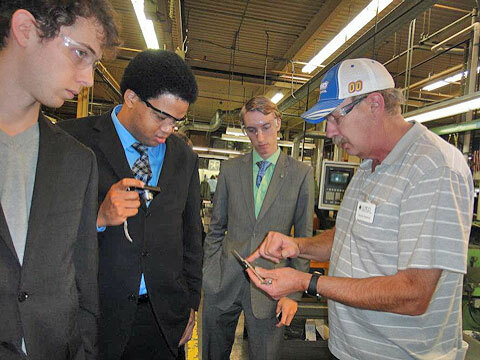 (L to R) Matthew Lieberman, Rob Chung and Andrew Ironmonger getting some instruction on how CUTCO® is made.